When I'm in Italy, I generally only eat Italian food. 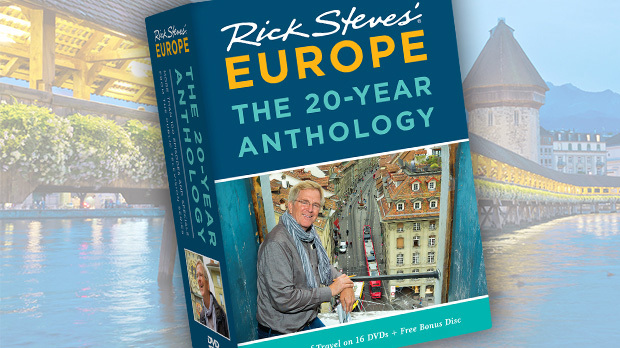 I doubt there's another country in Europe (except France) that could hold my palate's interest so easily. Italians are passionate about food. Cuisine is like a religion — and it's the quality of the ingredients that's most sacred. They tell me French cuisine is the art of making a fine sauce to cover the taste of mediocre ingredients. In Italy, they say, "La miglior cucina comincia dal mercato." (The best cuisine starts from the market.") When a chef comes out to chat with diners, ingredients are often the topic of conversation (which can become an animated debate): "Arugula is not yet in season. But oh, Signora Maria has more sun in her backyard, and her chickens give her a marvelous fertilizer." Some dishes are only available during a short window of time, when ingredients are at their peak. For instance, vignarola is a stew consisting of artichokes, peas, and fava beans. But chefs only make it for a few weeks each spring during a perfect storm of seasonality, when everything is bursting with flavor. One year, an early spring brought mass confusion in Rome, as old-timers couldn't remember ever seeing vignarola on the menu before Easter. 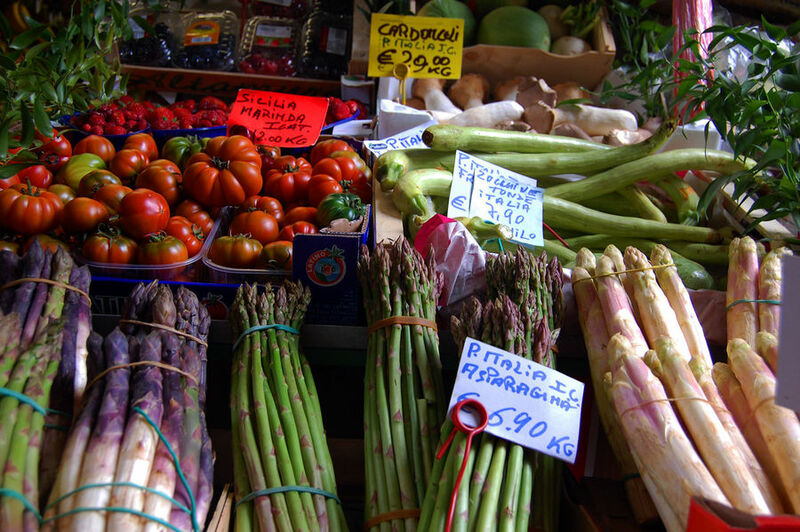 To eat well in Italy, finding the right restaurant is key. I appreciate personality-driven restaurants, run by people enthusiastic about sharing their love of good cooking, and characteristic mom-and-pop places serving family recipes. Signs of a good restaurant include a low-rent location, lots of locals, and a small, handwritten menu in one language. The menu is small because they're selling everything they're cooking, it's handwritten because it's shaped by what's fresh today in the market, and it's in one language because they cater to locals rather than tourists. 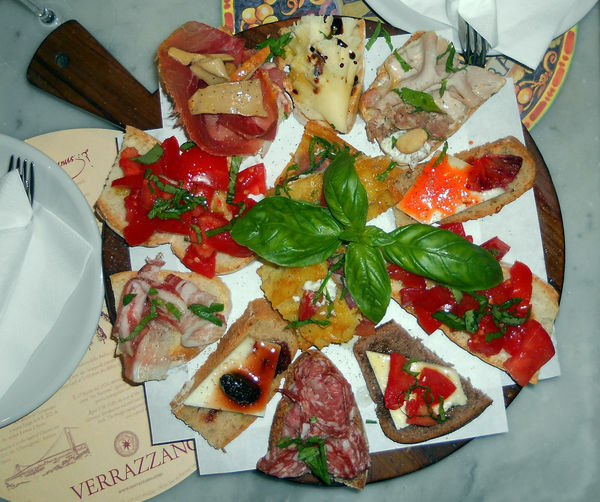 As you travel throughout Italy, you'll see different types of eateries. 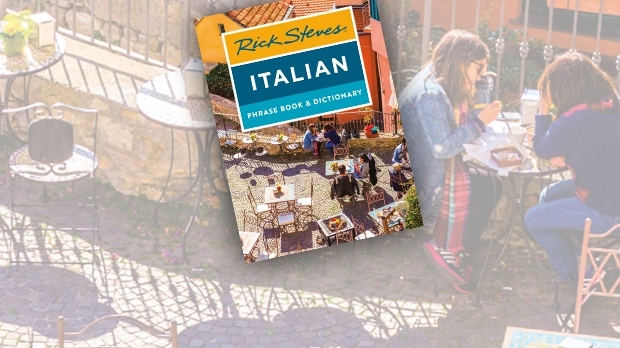 Generally speaking, a ristorante is more formal and upscale while a trattoria is usually a casual family-owned place serving home-cooked meals. While osteria used to mean a humble, rustic, good-value eatery, now it is likely to be trendy and pricey (but still good quality). To go gourmet and not go broke, I like a small, classy enoteca. These wine bars serve good, reasonably priced wine by the glass and pride themselves on simple menus featuring quality local and seasonal ingredients, well-cooked and economical. For a fast and cheap lunch, I look for the Italian variation on the corner deli: either a rosticceria, specializing in roasted meats and antipasti, or a tavola calda (hot table) bar — essentially a cafeteria featuring a buffet of meat and vegetables. Another budget option is to drop by an alimentari (neighborhood grocery) or salumeria (delicatessen) to pick up some cold cuts, cheeses, and other supplies for a picnic. At dinner, rather than bog down on an expensive secondi (second course, usually meat or fish), I order top-end on the antipasti (starters) and primi piatti (first course) list. By doing that, I usually end up with the freshest meats and cheeses and the chef's favorite pasta dish of the day. For more of an indulgence, I like to put myself in the hands of the chef. Either I'll find out what they're eager to serve, or I'll simply say, "Mi faccia felice" ("Make me happy") and set a price limit. In fact, that's one of the reasons I like eating in a tiny restaurant — because you have contact with the chef. It's like talking to your masseuse as she works. Italians tend to linger over each course, and dinner is the evening's entertainment. When you enjoy a full-blown Italian dinner, you don't get out until midnight; a three-hour meal is common. And when you leave, the table is a mess, with plenty of evidence of high-calorie fun with a firewater finale. Waiters provide lots of drinks that seem designed to keep you from leaving. When you want the bill, you'll have to ask for it (possibly more than once). To "eat and run" is seen as a lost opportunity. A couple of years ago, I sat down at my favorite place in Verona, Enoteca Can Grande, with my friend and guide, Franklin. We let the chef, Giuliano, bring us whatever he wanted. Just after the antipasti arrived, Franklin's wife phoned him and said, "Don't eat too much cheese or dessert." Franklin, who's not thin, surveyed our table and considered enjoying with anything less than abandon the enticing parade of food that had just begun. Sighing, he said, "Many people live their entire lives and they do not have this experience." "That's a pity," I said. "Yes," said Franklin. "It's like a man being born and being surrounded by beautiful women, and never making the love."